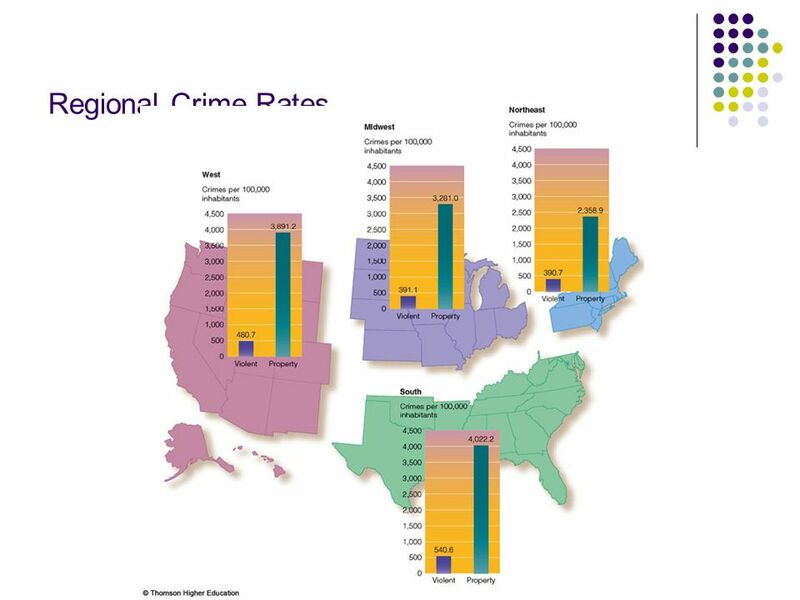 A large database compiled by the FBI of crimes reported and arrests made each year throughout the U.S. 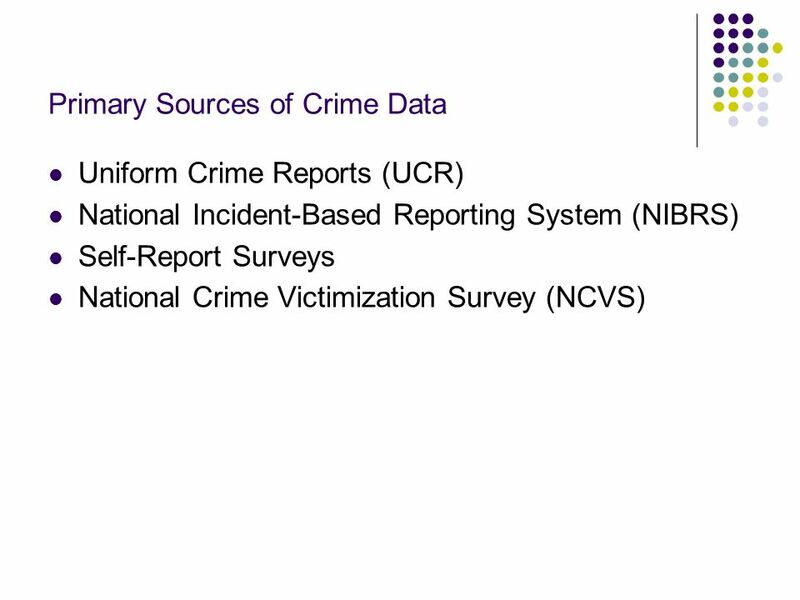 Collected from local law enforcement agencies and published yearly Accuracy is somewhat suspect as research indicates less than 40 % of all criminal incidents are reported to the police Validity issues: reporting practices, law enforcement practices, methodological issues. 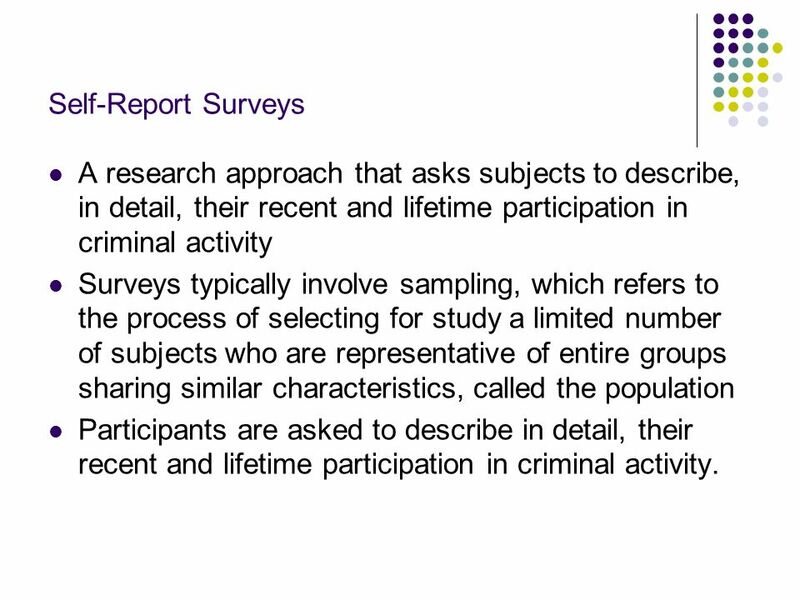 6 Self-Report Surveys A research approach that asks subjects to describe, in detail, their recent and lifetime participation in criminal activity Surveys typically involve sampling, which refers to the process of selecting for study a limited number of subjects who are representative of entire groups sharing similar characteristics, called the population Participants are asked to describe in detail, their recent and lifetime participation in criminal activity. 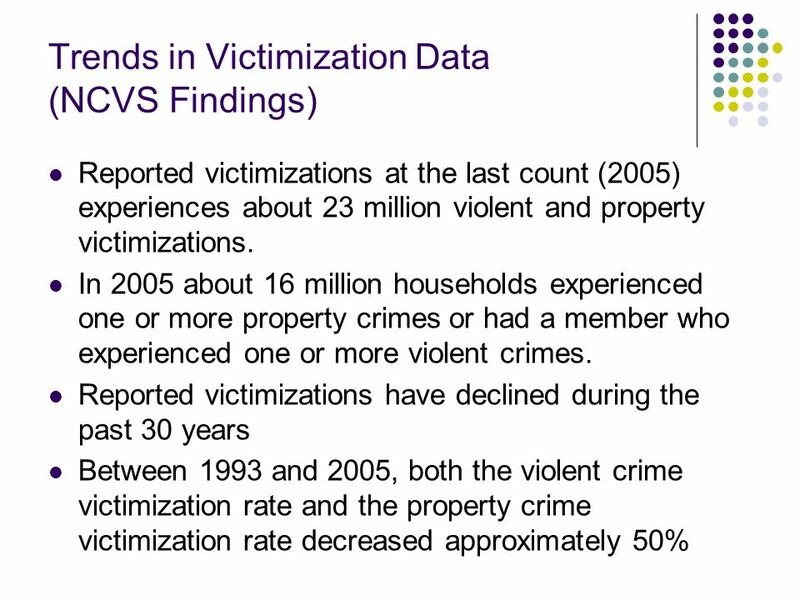 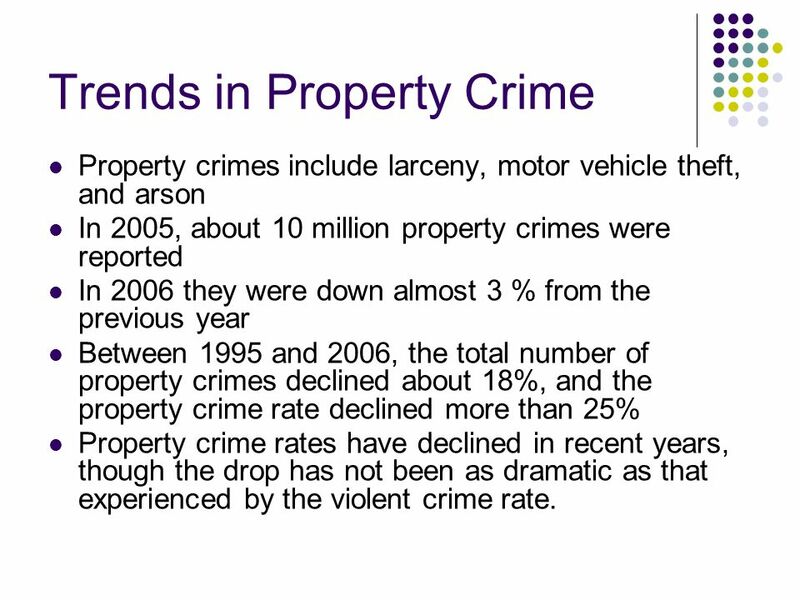 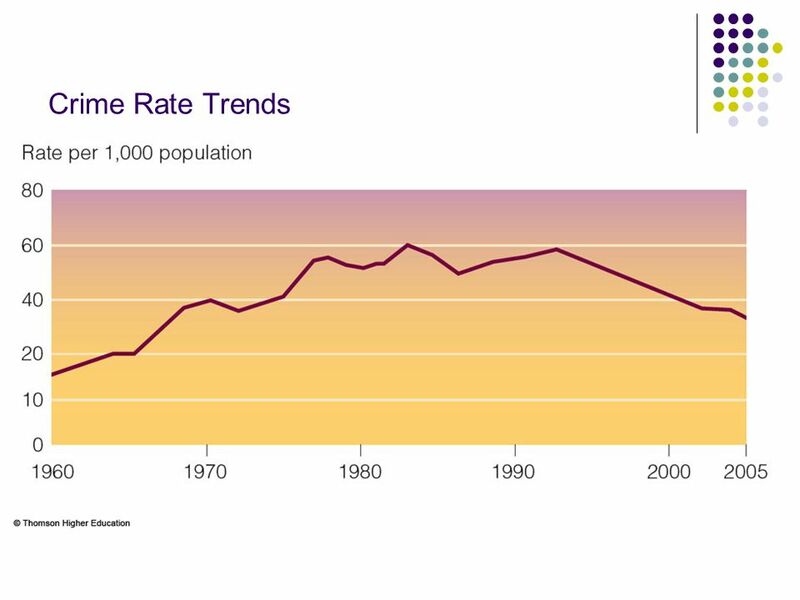 Property crimes include larceny, motor vehicle theft, and arson In 2005, about 10 million property crimes were reported In 2006 they were down almost 3 % from the previous year Between 1995 and 2006, the total number of property crimes declined about 18%, and the property crime rate declined more than 25% Property crime rates have declined in recent years, though the drop has not been as dramatic as that experienced by the violent crime rate. 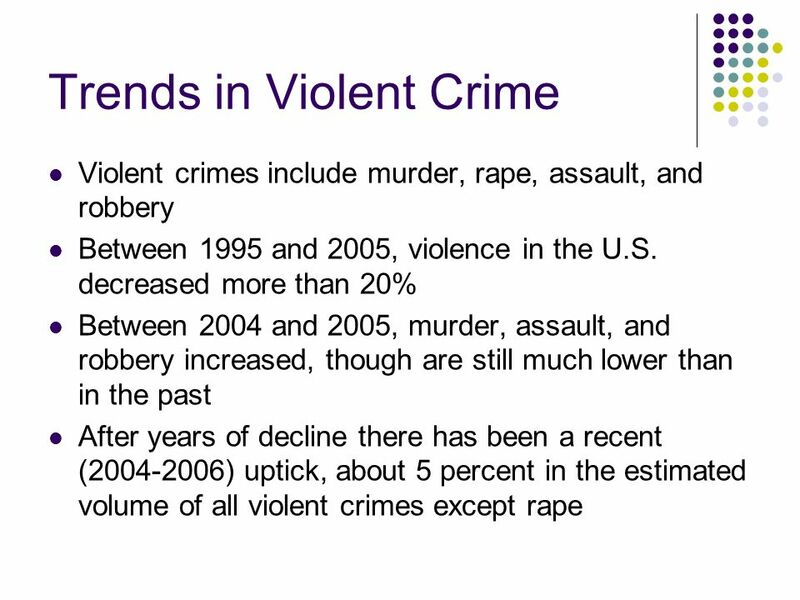 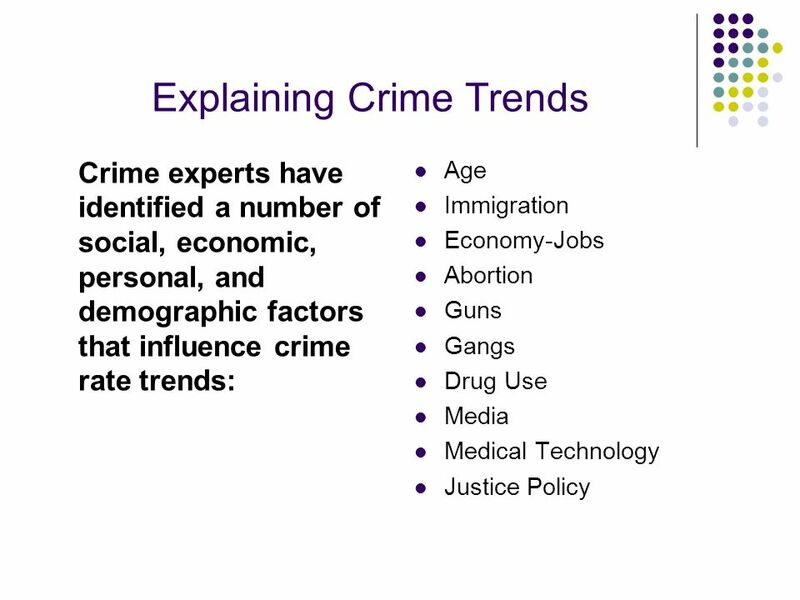 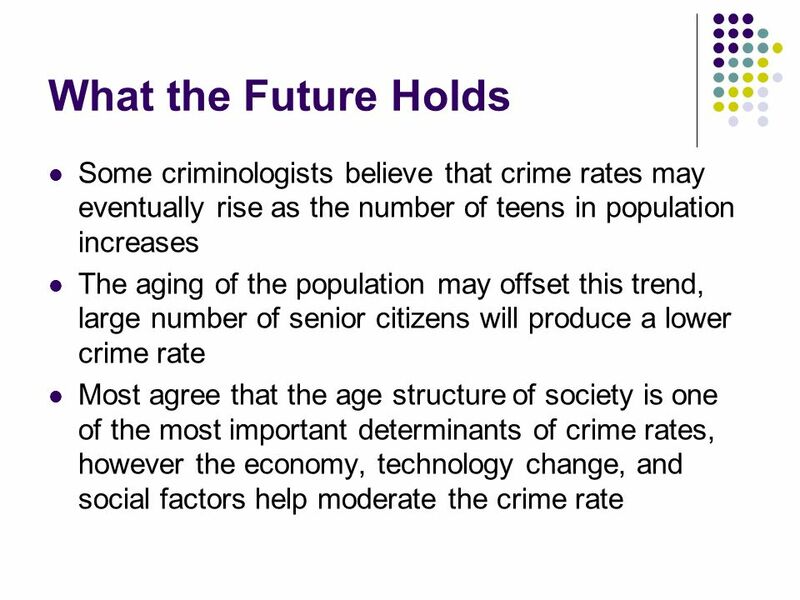 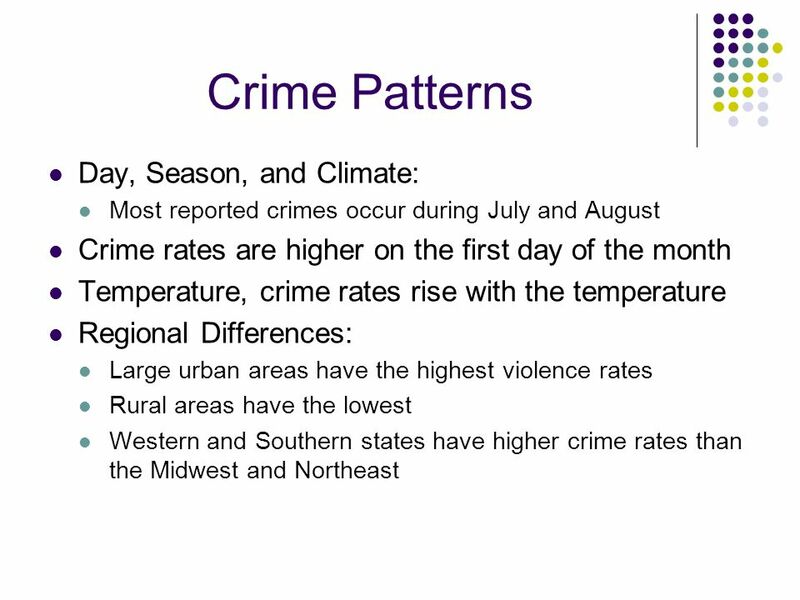 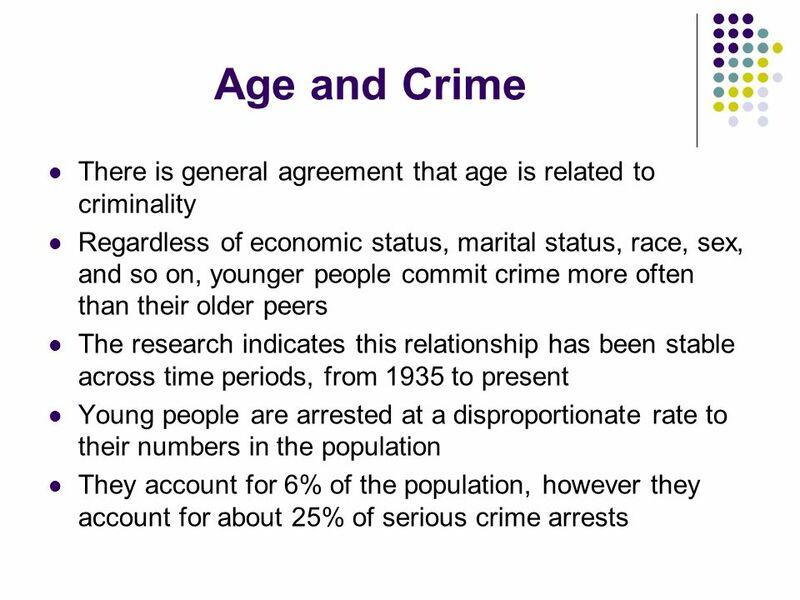 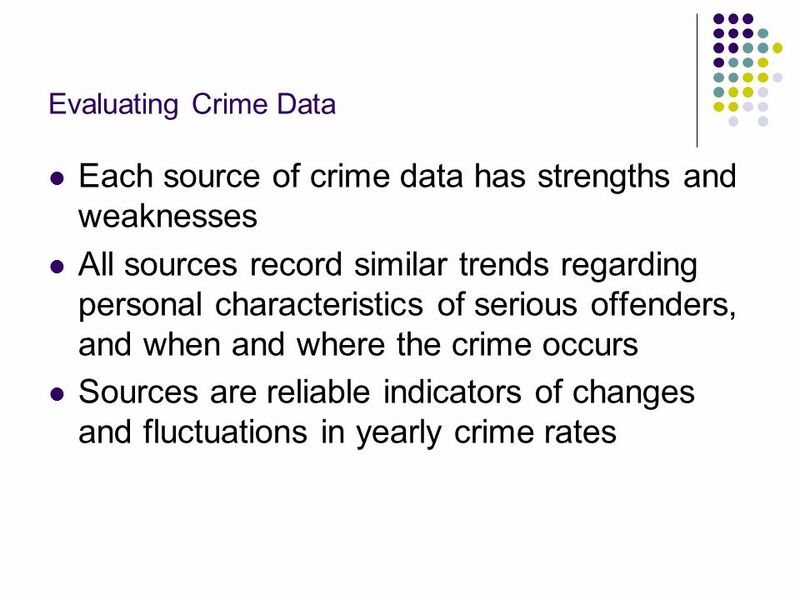 Download ppt "The Nature and Extent of Crime"
Class Name, Instructor Name Date, Semester Chapter 2 The Crime Picture Criminal Justice Today. 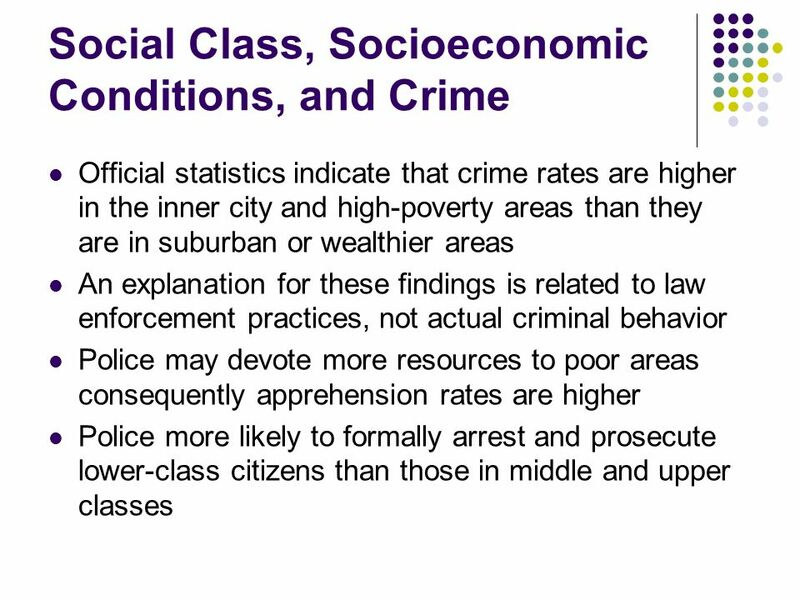 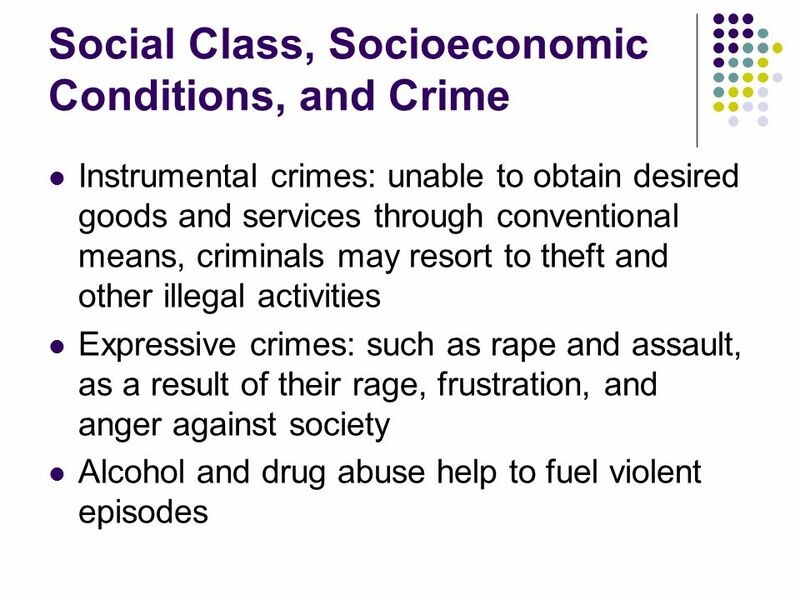 Law III Chapter Two: The nature and extent of crime. 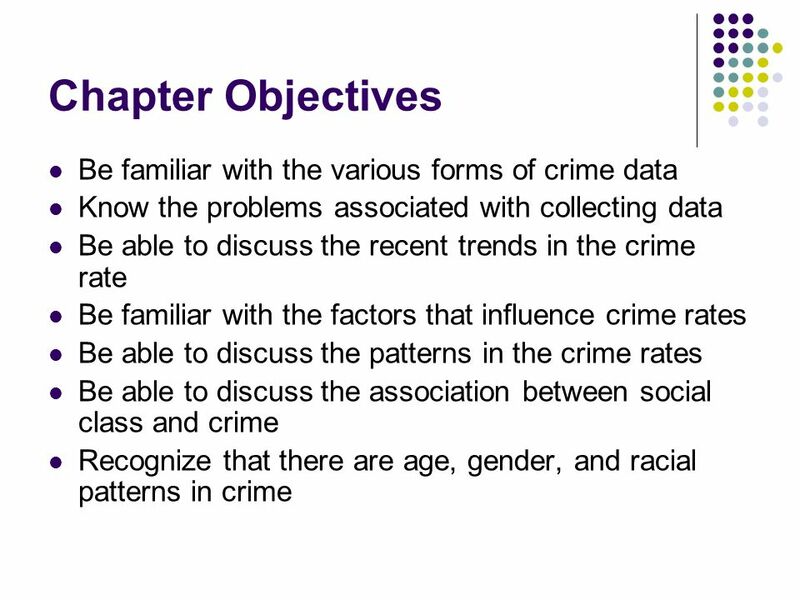 Chapter 8 Section 2 CRIME. 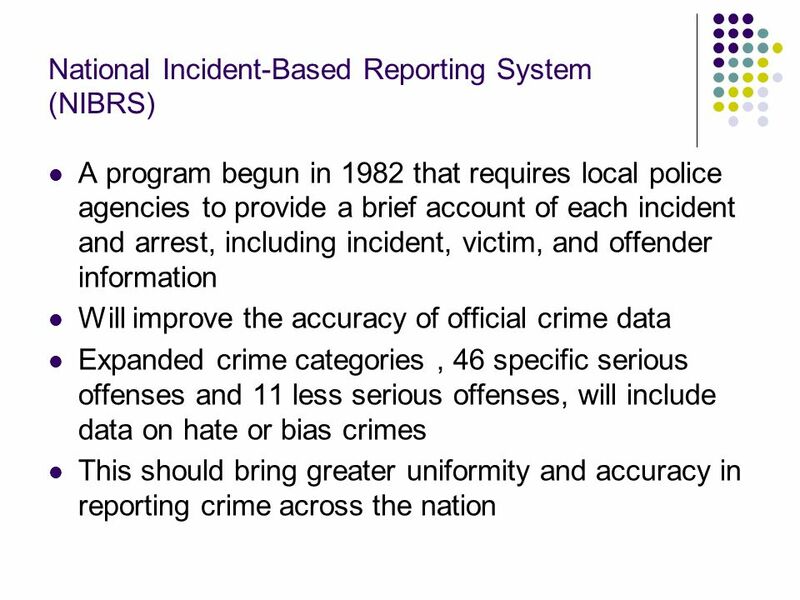 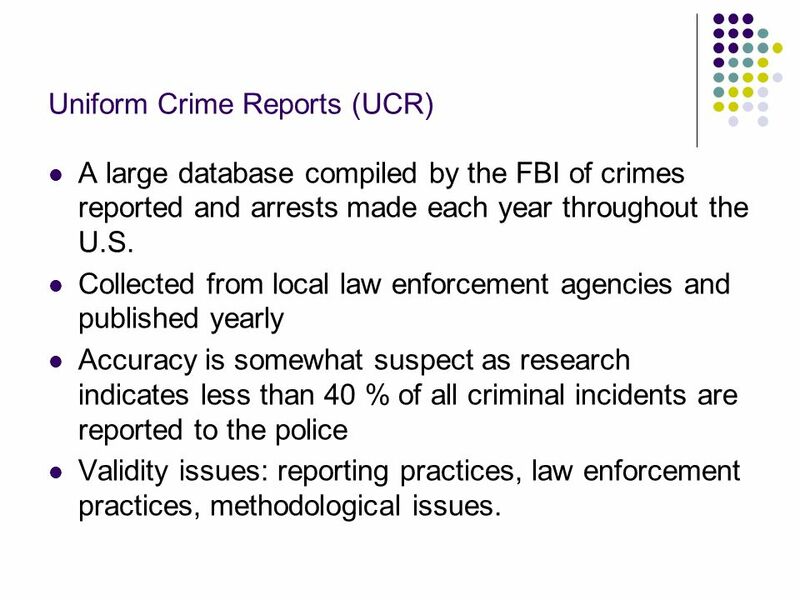 Uniform Crime Report (UCR) FBI Compiles data from the nation’s law enforcement agencies on crime for: Numbers of arrests Reports of crimes This is the. 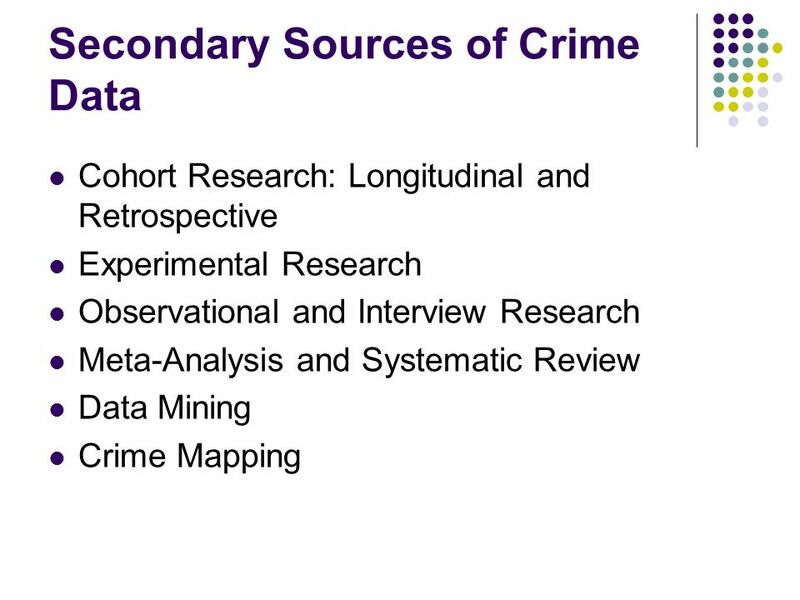 Counting Crime Methods for Counting Crime? 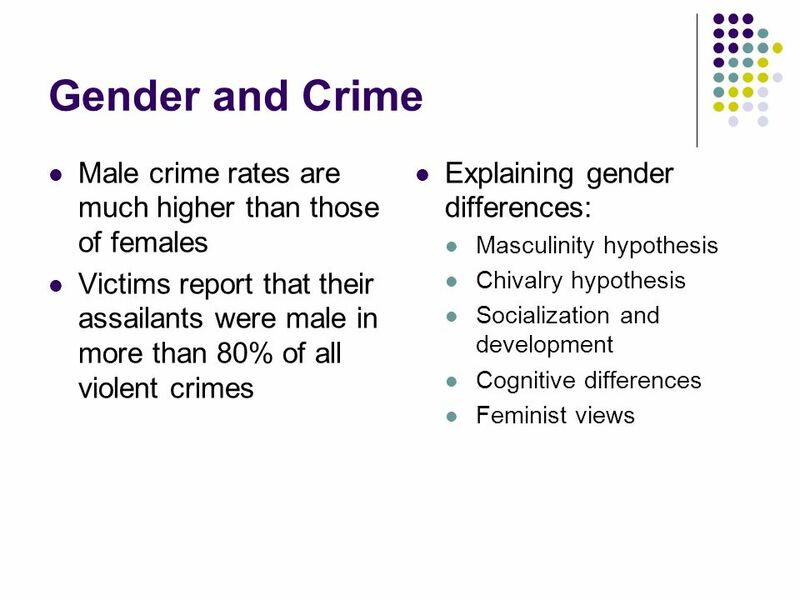 Theory n An explanation that systematically organizes the facts n Five criteria for a good theory u Consistent with the known facts u Logical, internally. 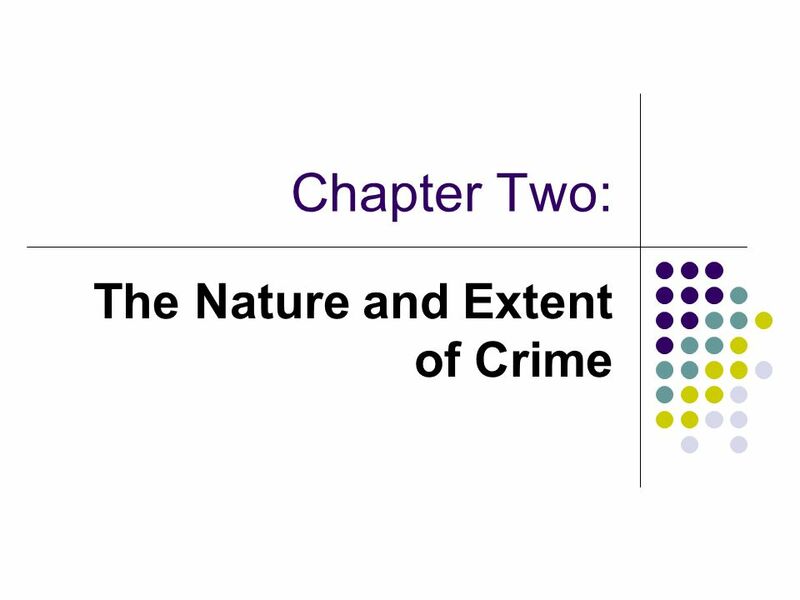 Chapter 2 The Nature and Extent of Crime. 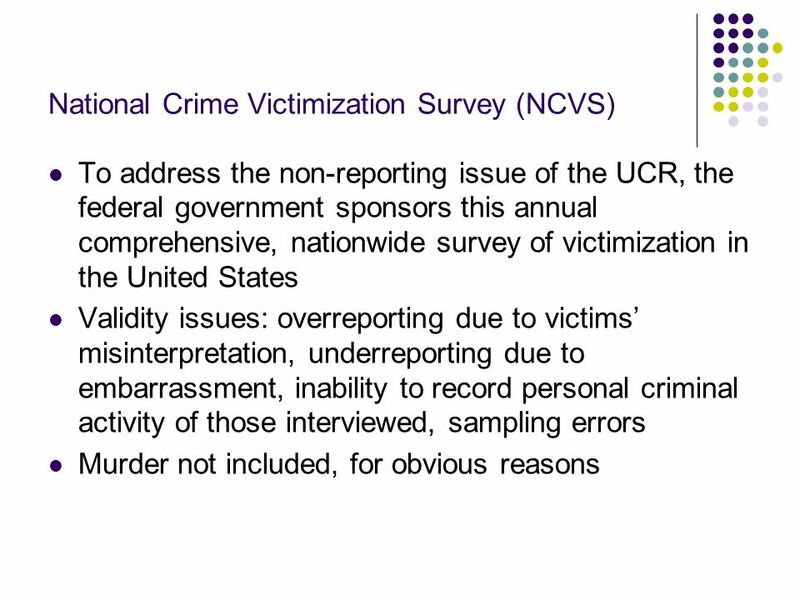 How Criminologists Study Crime Survey Research  Self-report surveys and interviews  Victimization surveys. 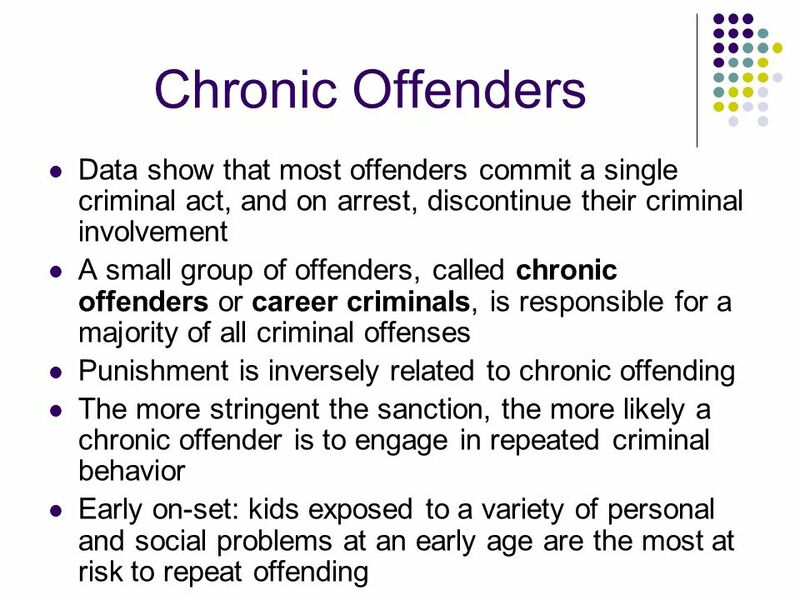 Just how much delinquency is going on?